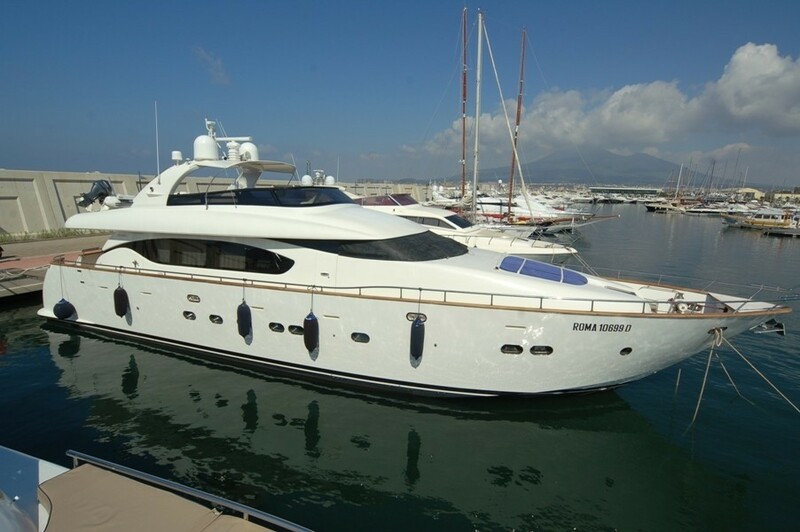 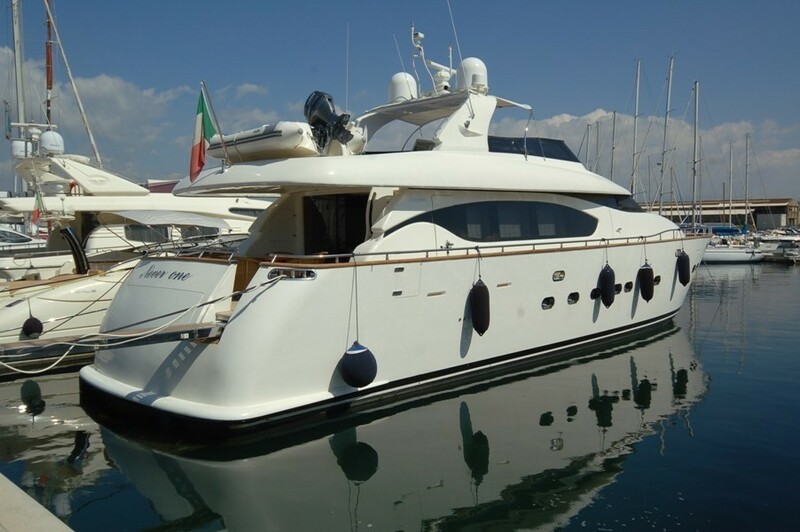 M/Y NEVER ONE is a 24m (78,9ft) custom built in 2001 Maiora that has been refitted in 2016 and offers luxurious accommodation in 4 spacious cabins, for up to 9 charter guests and 3 crew. 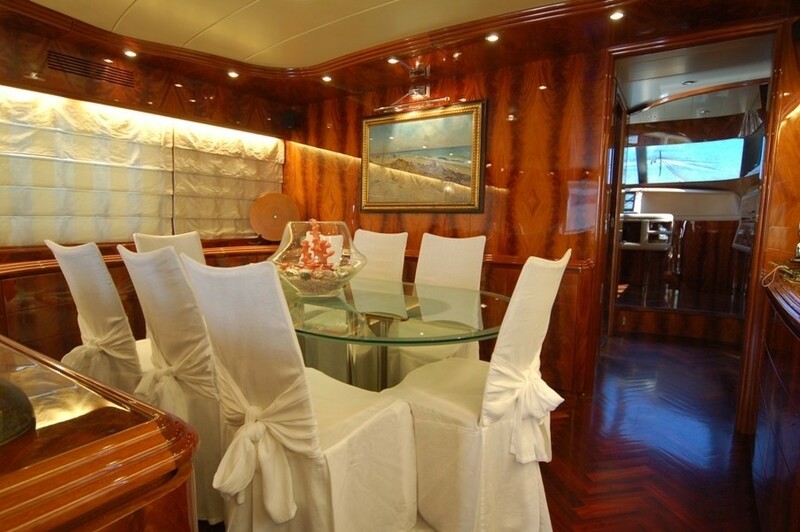 Her interior, with high gloss mahogany wood panelling and beautiful chic furnishings, is wonderfully spacious and offers a vast salon with a very comfortable and elegant seating feature, as well as large dining area that enables guests to relax and dine in style and comfort. 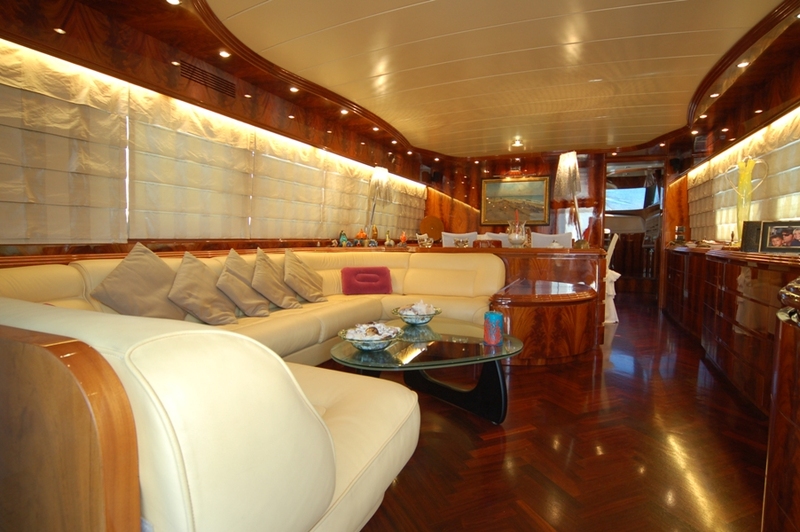 She boasts TV with satellite and Bose sound system in the main salon, perfect for entertainment. 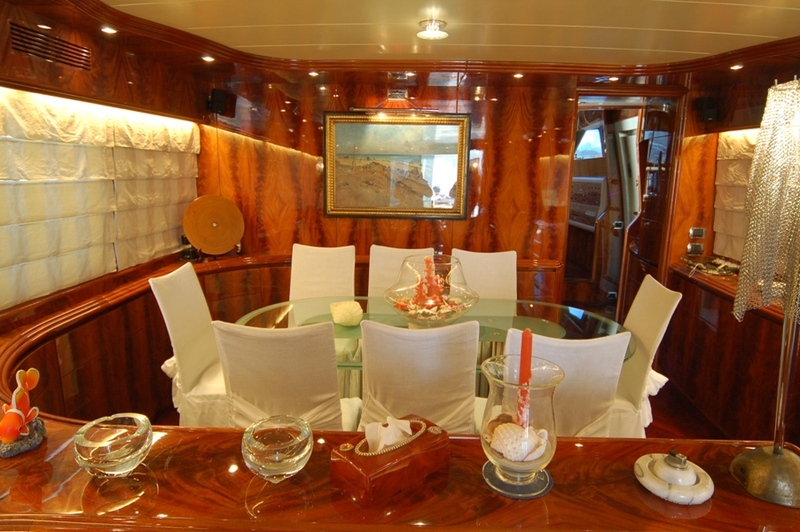 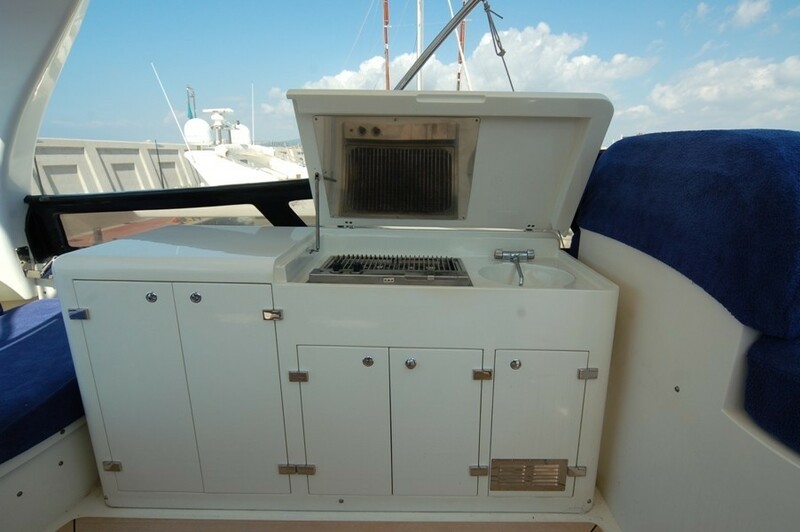 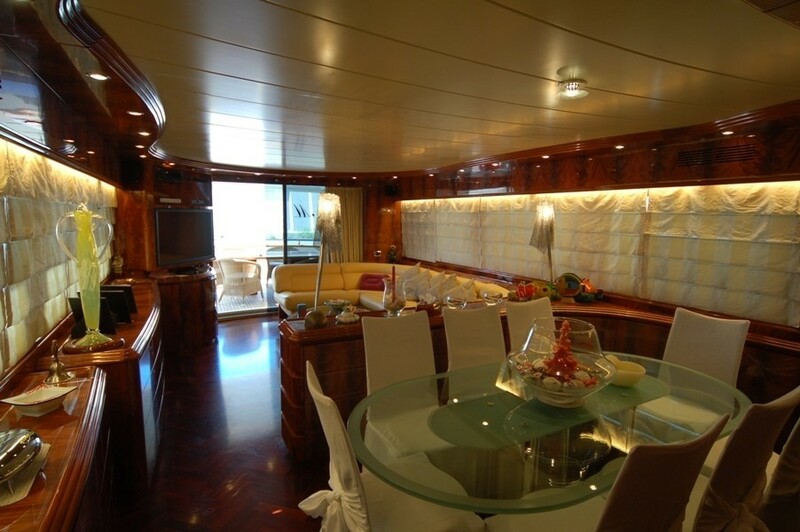 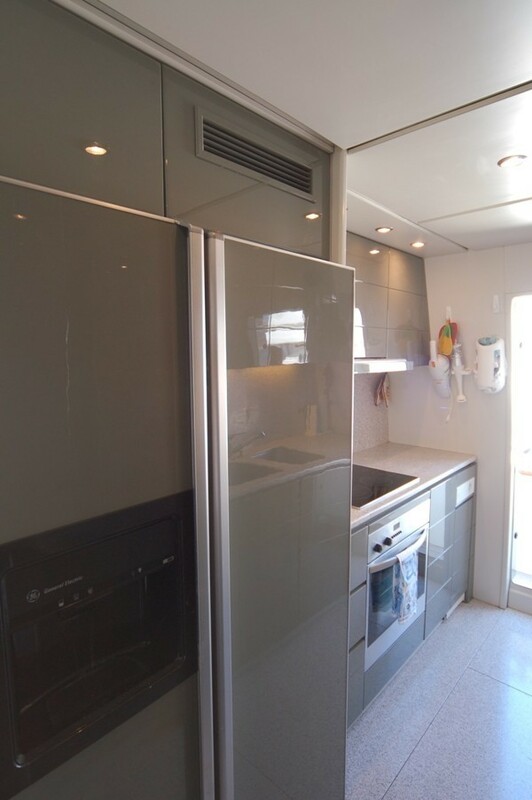 A fully equipped galley is separate from guest areas forward of the salon. 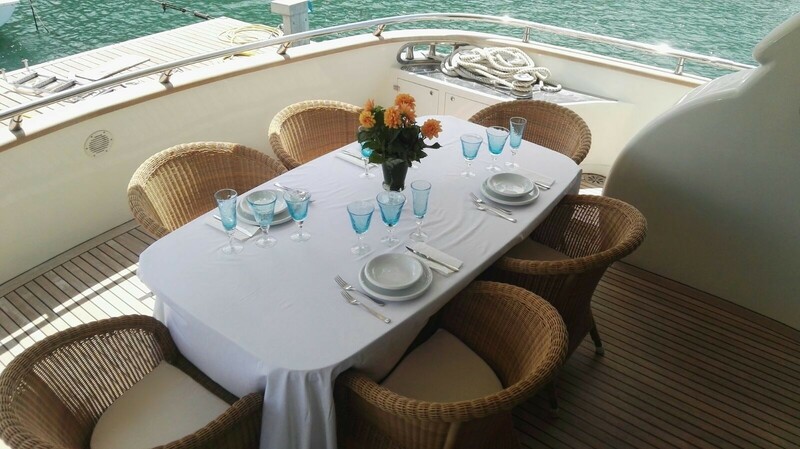 Guests can also enjoy alfresco dining by stepping out onto the aft deck that leads both to the foredeck and up to the spacious flybridge, which makes her the ideal charter yacht for socializing with family and friends. 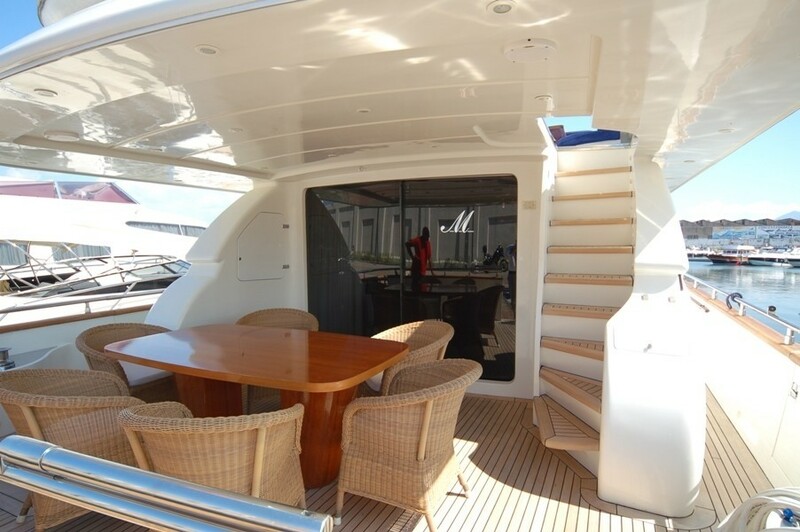 Exterior space is plentiful, with 3 separate areas to enjoy. 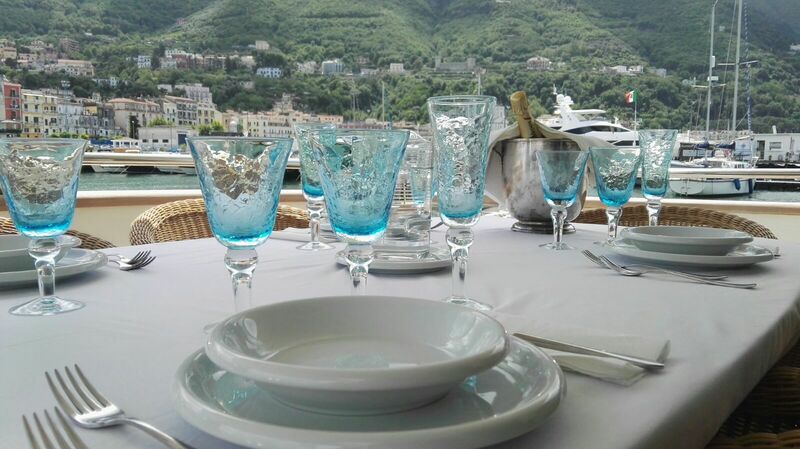 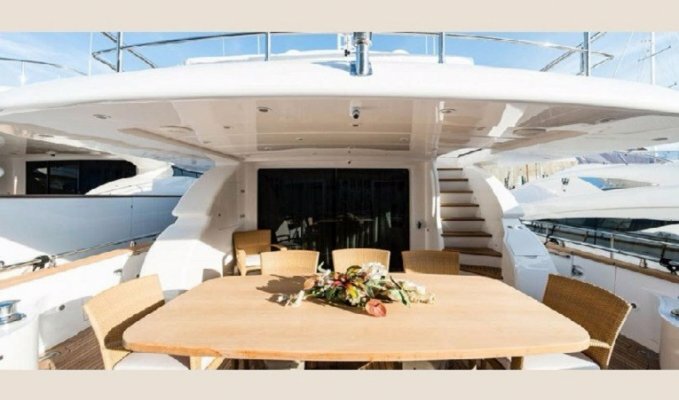 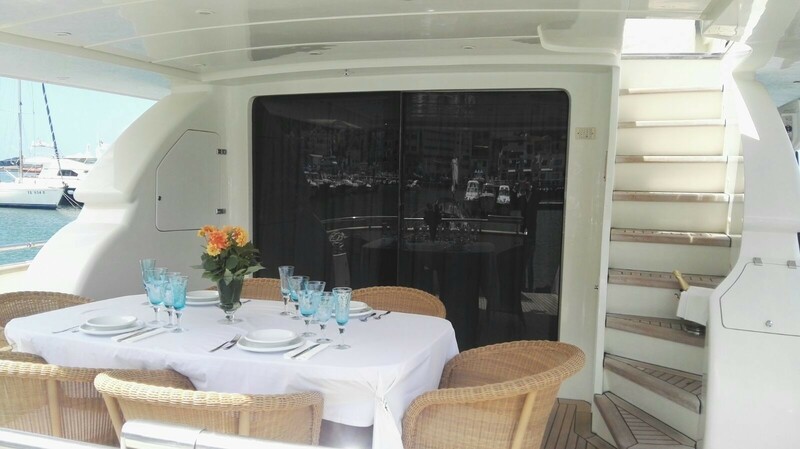 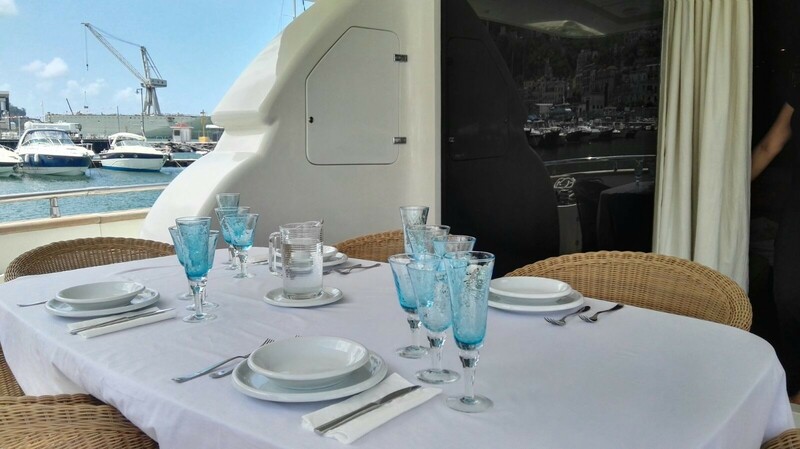 The semi shaded aft deck is very spacious allowing guests to comfortably dine alfresco. 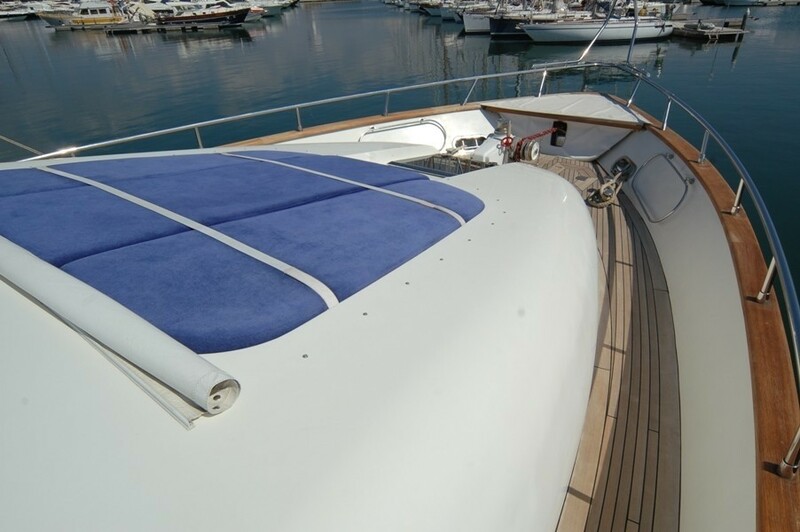 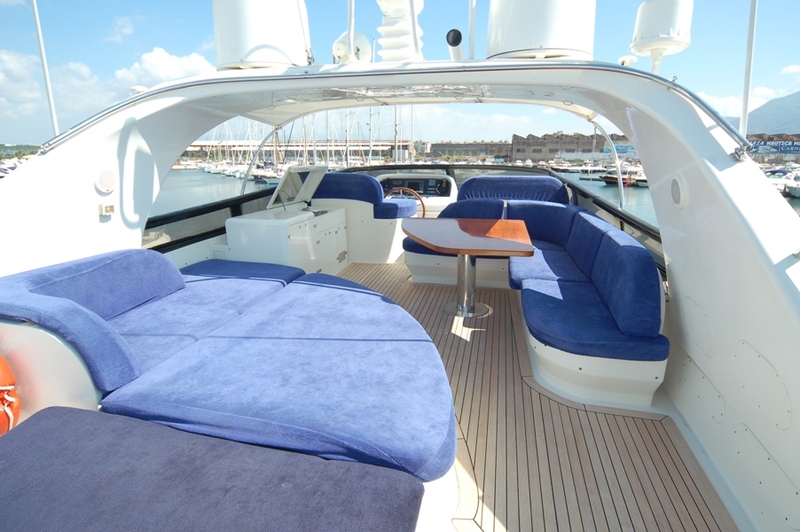 The yachts foredeck features a large raised sunpad for the sun lovers, while the upper flybridge boasts ample seating and sunpads, further dining options with a table, a wetbar and a BBQ, as well as a stereo hi-fi Bose system, making her perfect for any occasion. 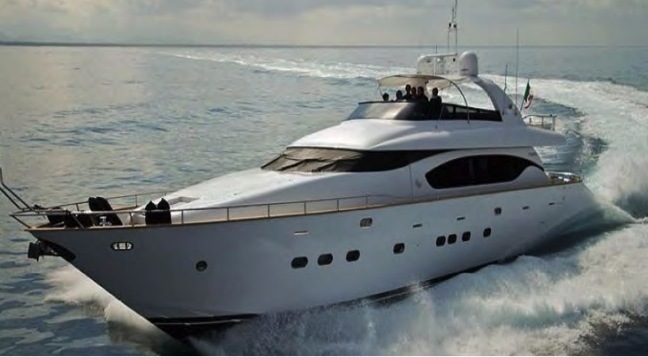 With her two MTU 1500HP engines that cruise at speeds of 26 knots and her prestigious and elegant exterior lines, NEVER ONE is the perfect combination of performance and luxury. 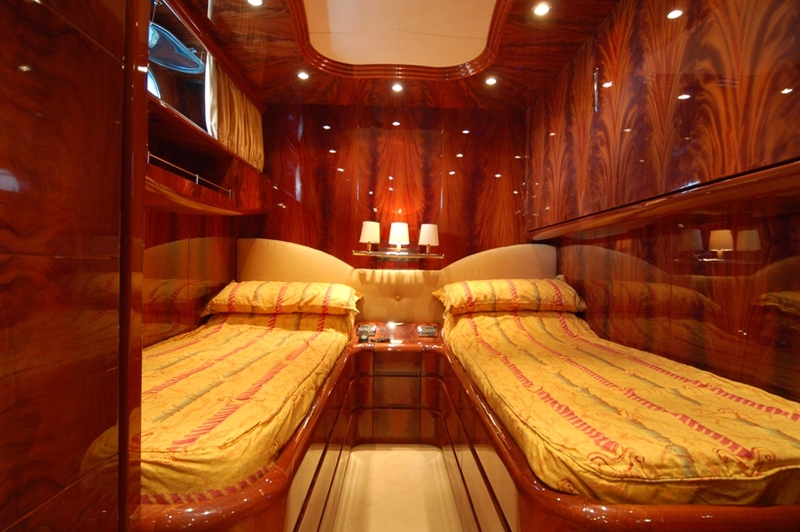 NEVER ONE is a four cabin layout that sleeps up to 9 charter guests. 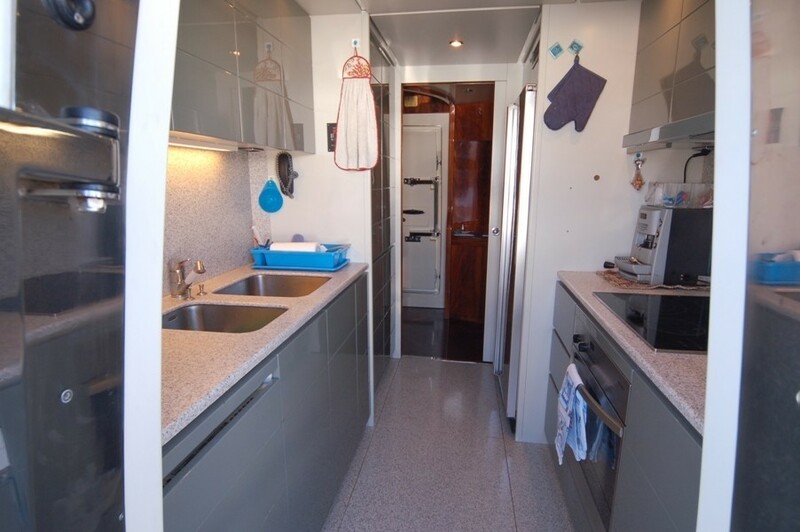 Her wonderfully spacious cabins all feature private en-suite facilities. 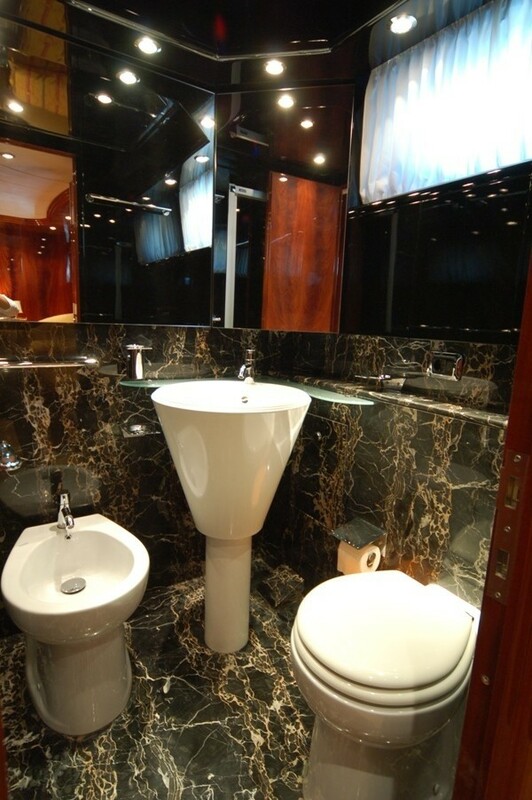 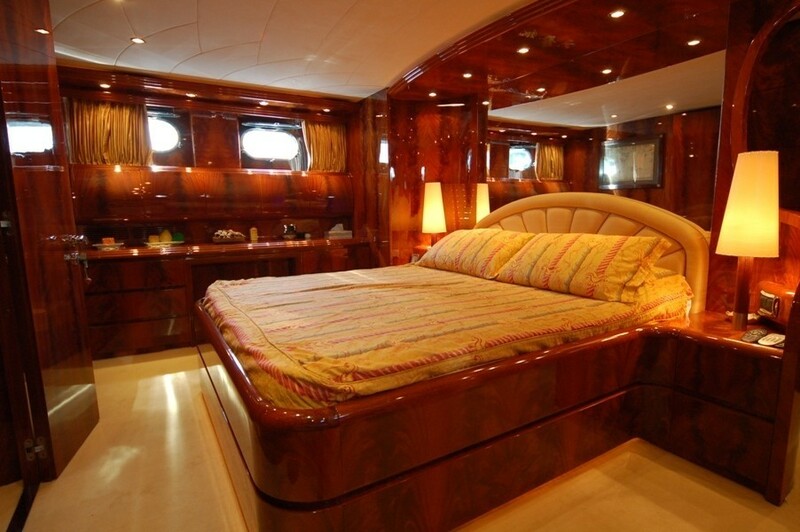 The master stateroom is amidships and is full beam of the yacht with a large double bed and a large marble en-suite. 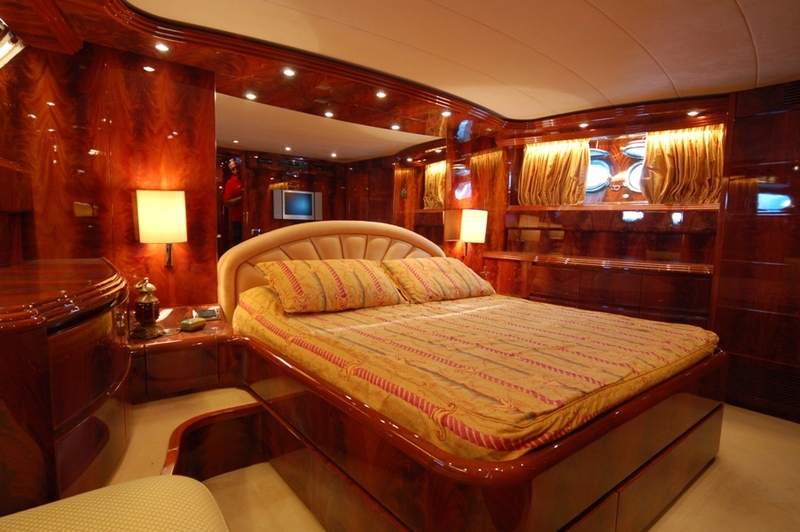 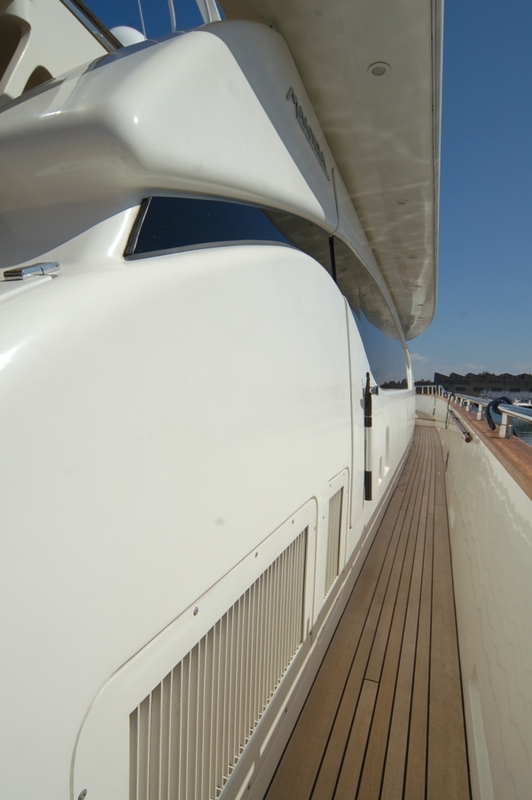 The VIP suite is located at the bow and is also full beam with a large double bed. 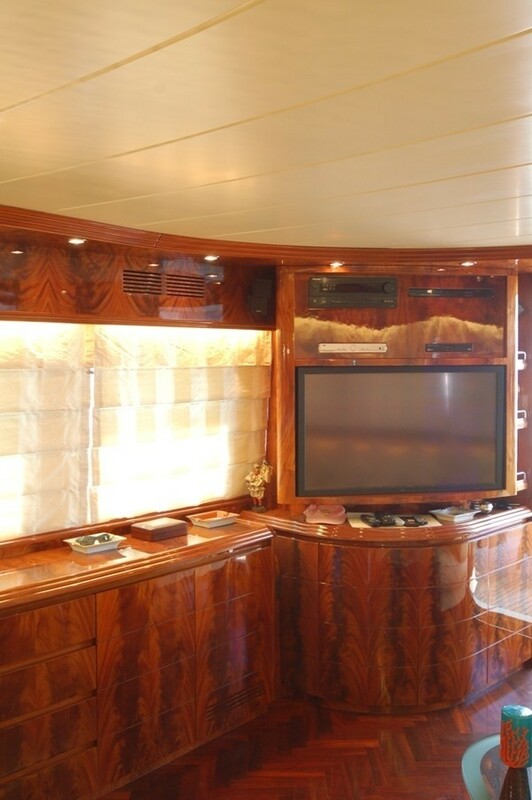 Both comprise plenty of storage space, TVs with satellite, dvd, and stereo hi-fi bose systems. 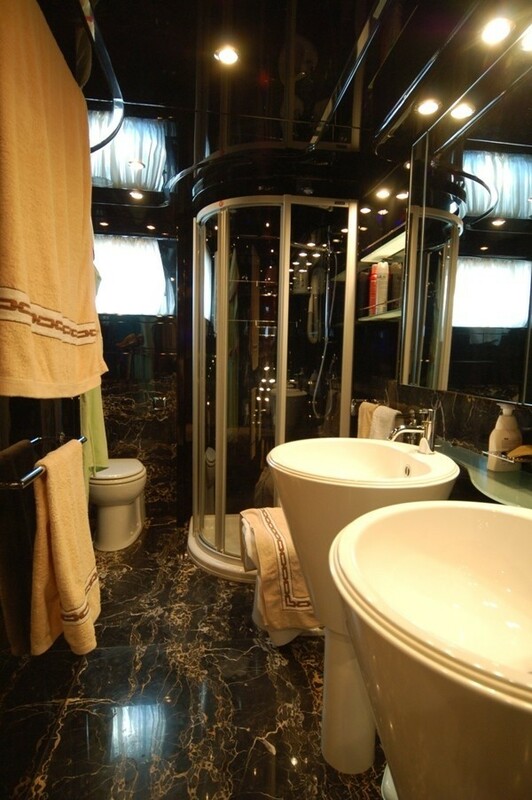 The two additional cabins are twins, one of which features a Pullman. 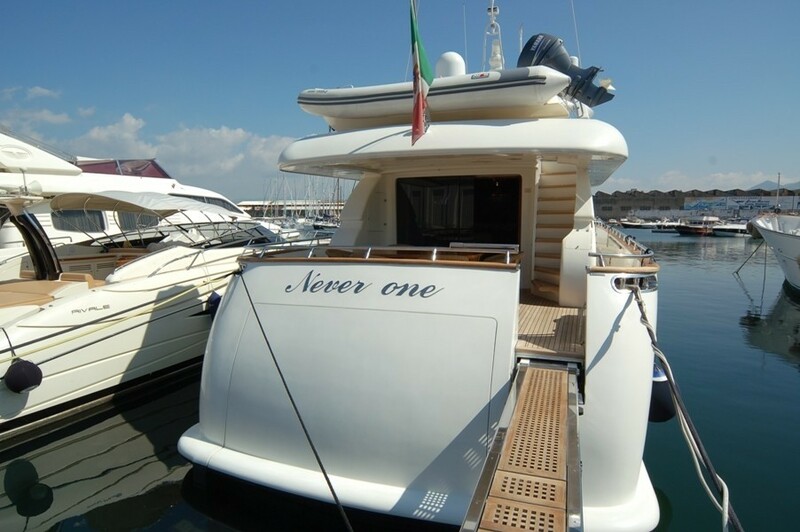 NEVER ONE has the following Tenders & Toys: Tender 40hp 4 mt Avon Audio Visual Equipment and Deck Facilities Tv satellite , dvd , stereo hi-fi bose system in the main saloon, owner s cabin and Vip Cabin,stereo hi-fi bose system on the fly , hi-fi and tv sat in the twins cabins , wi fi , alarm system,air conditioned, phone sat intercom for communications between cabins .